I discovered that the heap gets very fragmented in SQL Server in some of our solutions. Large tables, such as Items, Shared-, Versioned- and Unversioned-fields, Blobs, Descendants and Links tables, that easily occupies a few GB on disk, also suffered from great fragmentation. More than 90% fragmentation was common. From what I’ve found, the only way to fix SQL Server Heap fragmentation (the heap is where all the table data is stored), is to have a clustered index on each table. However, I noticed that no tables in the Sitecore databases have any clustered indexes. All indexes are non-clustered in the common master/core/web databases. Sitecore used to have clustered indexes back in 5.2, but over the course of multiple Sitecore versions, the database schema has changed to non-clustered indexes. A clustered index means that the table rows as stored in the index order physically on disk. That’s also why there can be only one clustered index per table. With a non-clustered index, there is a second list that has pointers to the physical rows. It’s generally faster to read from a clustered index, but it may be slower to write to it as there may be a need to rearrange the table data. As you probably know, all fields in Sitecore can have one of three field scopes: Versioned (aka Normal), Unversioned and Shared. Versioned fields have individual version numbers for each language. Unversioned fields have individual values for each language in the same way as versioned fields, but there can be only one value per language. Shared fields are just a single value regardless of language and item version. There are no such thing as a “versioned shared” field type. This is configured using two check boxes on a field level: Shared and Unversioned. If none are checked, the field becomes a versioned field. As you see, there’s an ambiguous “invalid” state where both check boxes are checked. In this case, Shared has precedence. Thank you Sitecore for awarding me “Most Valuable Professional” (MVP) again! Seven years in row! My contribution to Sitecore and the community over the last year have, besides the nine posts on this blog, have been mostly focused on improving the product by having a dialog with various Sitecore staff. 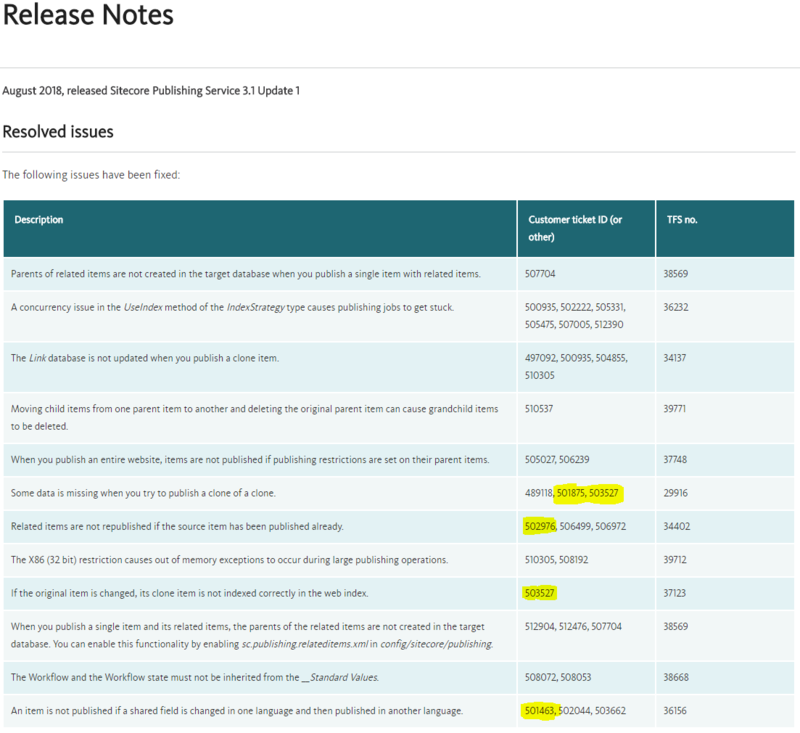 During 2018 I filed over 50 confirmed bugs, mostly related to Sitecore Publish Service and Content Search and a handful of accepted product enhancements. I’ve written a few posts on Sitecore Content Search and Solr already, but there seems to be an infinite amount of things to discover and learn in this area. Previously I’ve pointed out the importance of configuring the Solr index correctly and the benefit of picking the fields to index, i.e. not indexing all fields as default (<indexAllFields>false</indexAllFields>). 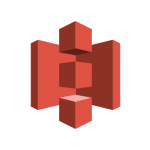 This will vastly improve the performance of Content Search operations and reduce the index size in large solutions. Recently I’ve been investigating a performance issue with one of our Sitecore solutions. This one is running Sitecore 9 with quite a lot of data in it. It’s been performing quite well, but as the client were loading more data into it, it got a lot slower. Our metrics also showed the response time (P95) in the data center that got quite high. It measured around 500 ms instead of the normal 100 ms. Some people find it a bit tricky to write Sitecore config files. It can sometimes be a bit tricky or time consuming to get the element structure correct. Ever found yourself debugging an issue where it turned out the config file wasn’t applied properly due to an element structure mistake? The Sitecore Publish Service vastly improves the publish performance in Sitecore. For me it was really hard to get it working properly and I’ve blogged about some of the issues before. I received a lot of good help from Sitecore Support and now it seems like I’ve got into a quite stable state. However, there is a backside of the Publish Service that may affect the editing performance. Publish Service doesn’t use the PublishQueue table for knowing what to publish. Instead it has an event mechanism for detecting what needs to be published. As an item is saved, Sitecore emits events to the Publish Service so that it knows what pages should be put into the publish manifest. Note: The solution in this post may not suit every project. Address this only if you’re experiencing the performance decade described and make sure you test everything well. Make sure you fully understand this approach before dropping it into your project. As part of the Publish Service package, a item:saved event handler is added to do some post processing. When a unversioned field is changed on an item, the event handler loops over all versions of that language and updates the __Revision field. When a shared field is changed on an item, the event handler loops over all versions on all languages and updates the __Revision field. Thereby the Publish Service gets a notification that the content of the item has been changed. A Sitecore solution is typically behind one or several reverse proxies, such as load balancers, content delivery networks etc. From a Content Delivery server perspective, the remote address, i.e. “the visible client IP” is the closes proxy instead of the IP of the connecting client. To solve this, the chain of proxies adds a http header with the IP address it’s communicating with. This header is typically called X-Forwarded-For or X-Real-IP. After having tons of problems and several filed tickets on the initial release of Sitecore Publish Service 3.1, I was happy to find that Sitecore have addressed many of the problems of the previous versions. This update contains 12 fixes and I found my customer support ticket number listed six times. Unfortunately the update didn’t solve these issues properly, so while I’m waiting for new patches I thought I’d share a UI fix that wasn’t included in the release. 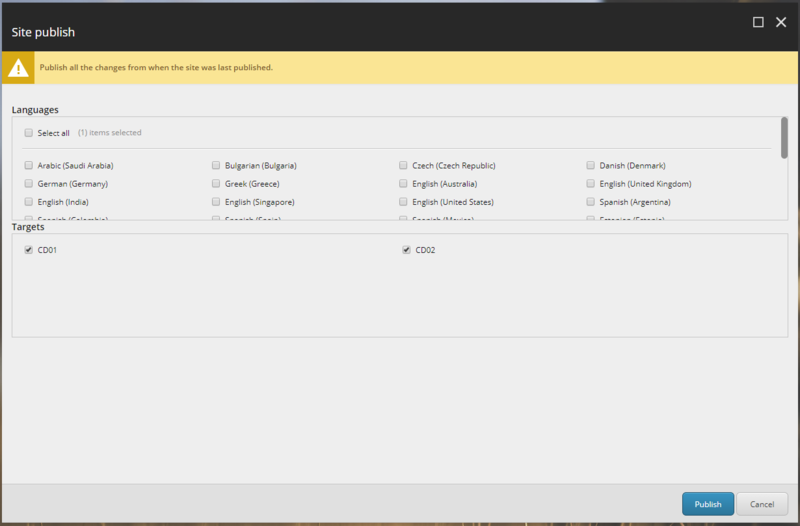 When working with multiple languages, the language list isn’t very user friendly in the Publish Service UI. It’s essentially just becomes a small letterbox with unsorted languages and a large area for displaying the targets. While investigating stability issues, I’ve found a few things that may need addressing. The default config above, essentially means Sitecore will start multiple threads processing 300 indexable objects each. This might not be an issue at all, but when combined with a multi-language setup, media indexing and crazy authors, this may become a real problem. Language Fallback is a powerful feature in Sitecore. 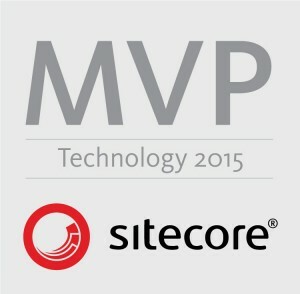 It’s been around for years as a module and since Sitecore 8.1 it is part of the core product. In short, it allow values to be inherited between item language versions. This allows you to show default content when translation is missing. You may have dialects of a languages, such as US English vs British English, and you can use Language Fallback to avoid translating content that is the same for the two dialects etc. Increase Caching.SmallCacheSize to about 10MB if you’re using Language Fallback in Sitecore. During an upgrade project to Sitecore 9, I got some insights worth sharing. 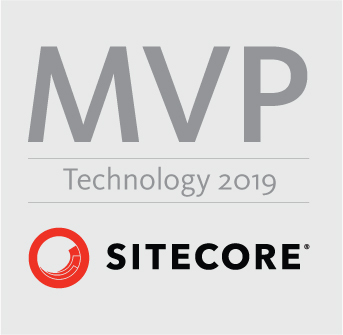 Some findings in this post applies to multiple Sitecore versions and some are specific to Sitecore 9. I’ve been using SolrCloud 6.6, but some of it applies to other versions as well. It be came a long, yet very abbreviated, post covering many areas. Thank you Sitecore for awarding me “Technology Most Valuable Professional” (MVP) again! Six years in a row! 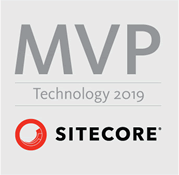 The Sitecore MVP Award celebrates the most active Sitcore community members from around the world who provide valuable online and offline expertise that enriches the community experience and makes a difference. My contribution to Sitecore and the community over the last year have, besides this blog, have been a continuous dialog with Sitecore staff on how to improve the product and I’ve filed around thirty confirmed bugs. I’ve also held a few talks on Sitecore User Group Gothenburg (SUGGOT) and a few modules are shared on GitHub. By default, Sitecore stores media files as blobs in the database. This is usually good, but if you have a large volume of files, this can become too heavy to handle. So I wrote a Sitecore plugin where you can seamlessly store all the binaries in the cloud. A colleague of mine spent several hours finding a very nasty problem in one of our Sitecore environments. Thomas did a great job on this, so all creds him. I thought we should share this finding with the community as well. Some say target="_blank" is one of most underestimated vulnerabilities on the web. When you make a link to an external into a new tab or window, that site gets access to your site. If it’s a design flaw in browsers or something else is debatable, but luckily there is a simple fix for it by adding rel="noopener" to external links. 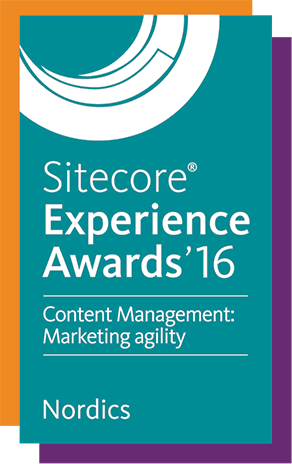 Sitecore have awarded Volvo Construction Equipment, with partner Stendahls, winner of the Sitecore Experience Award 2016, Marketing Agility category. The Marketing Agility award recognizes marketing teams that have made significant, measurable gains in productivity and marketing ROI through the Sitecore platform. This year’s winners outlined clear before and after scenarios for team output and content publishing times as well as any associated organizational or team advantages, as a result of time/resource savings. I’ve spent most of my working time during 2015 and 2016 on this huge project, where we built the whole marketing platform and rolled out 123 market and dealer websites, representing Volvo’s business in more than 140 countries on 30+ languages. The solution contains about 370k items and is managed by more than 150 editors worldwide, all in the same Sitecore solution. A lot of my time went into creating a streamlined development process, build and maintain a fast and stable hosting platform and build a very efficient authoring environment. Many of my blog posts during the last year have sprung out of this project. Some time ago, Martin Davies started a thread on the Sitecore MVP community forum about where to store page content. It caught a lot of attention and many replies. Since that’s a closed forum, I thought I’d might as well write a public post on my view on this topic, but also put into a wider perspective. It almost ended up in a recipe on how to build Sitecore websites. Nothing in this post is new really, so I’ve kept each topic as brief as possible. This post is only about the basics of Sitecore as a CMS. Sitecore can do so much more. But I’ve seen so many, in my opinion, implementation failures, where the customer can’t get passed the content management hell and never starts walking up the experience maturity ladder. The implementing partners plays a very important role here ensuring the content authoring environment doesn’t become messy, time consuming or non-intuitive.